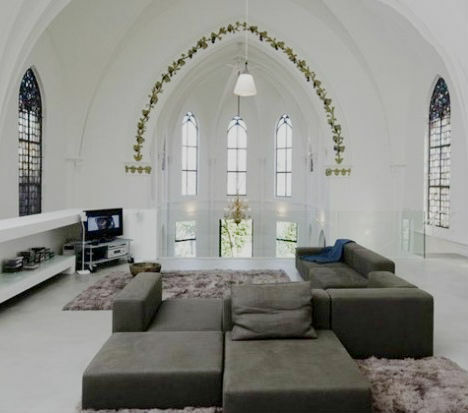 A historic church built in 1870 with soaring ceilings, stained glass windows and all of the design details you would expect in such a structure is now available for short-term rentals in Utrecht, Netherlands. 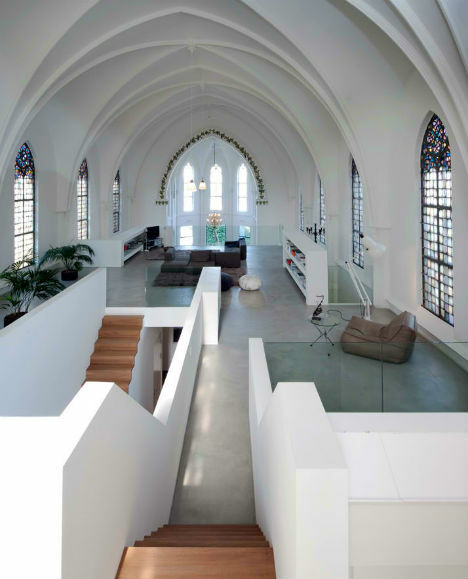 The church was converted into a spacious residence, its interior painted white for a bright and open effect. The addition of modular floors and stairways adds more living space without compromising the building's original layout. St. Jakobus closed its doors as a place of worship in 1991. 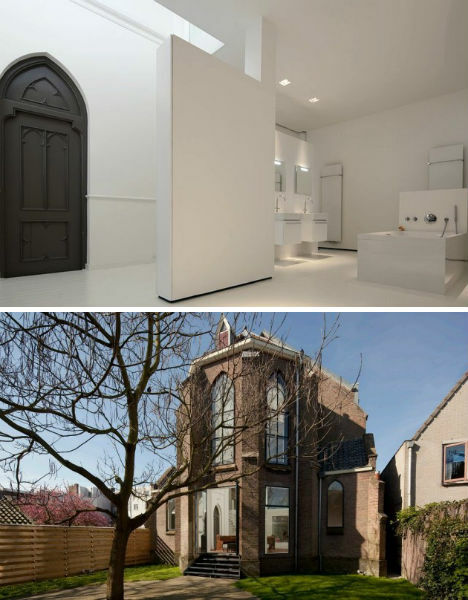 It was one of hundreds of churches in The Netherlands that have been phased out as church membership declines, going through various stages of alternative usage, including a period as a small concert hall and showroom for antique furniture. 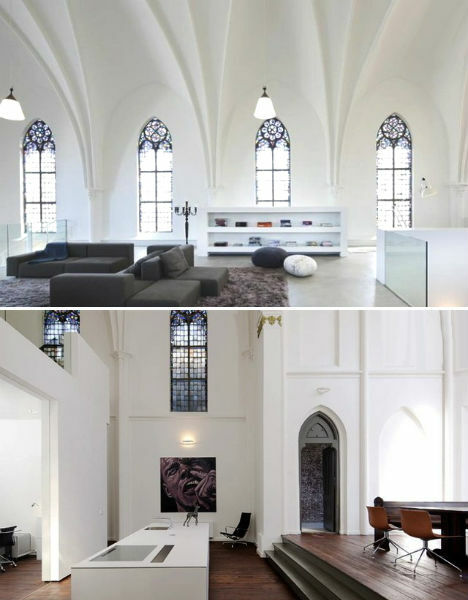 Zecc Architects purchased it and transformed it into a spectacular residence, preserving its historic facade and the arches of its vaulted ceiling. 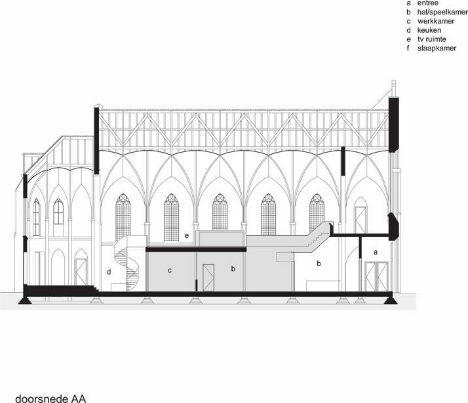 They partially removed a mezzanine floor that was installed for concerts to recapture the church's sense of space and enable daylight to flood the interior. 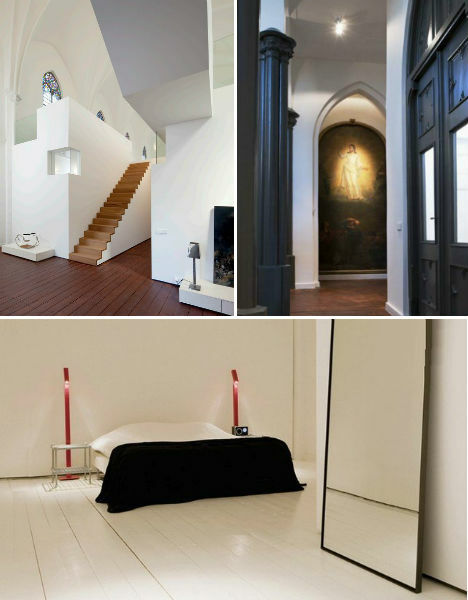 The bedrooms, a study room and a bathroom are enclosed within the modern modular insert, which is detached from the church structure and could be removed if the building goes through yet another transformation. The former parapet area is now a large dining space, with two of the church's original pews used as seating. Located in the central city close to major attractions, the church accommodations are available to rent via Wimdu.